Bags ready? Set to find great bargains? Go to Newtown, Connecticut, for the Friends of the C.H.Booth Library where over 100,000 books, records, DVDs go on sale annually. Their book sale always marks for me the beginning of the book sale season. This year’s starting date was July 12, 2014. For the first time, I went on the admission day ($5) and used extra help (husband & son) to follow me with bags. Even then, I was too late to get the 20 or so copies of The Great Gatsby I saw someone packing up at the check out counter. My son noted that I also missed out on copies of of The Hunger Games Trilogy selections. Bel Canto. I also found copies for the grade 10 world literature library including The Places in Between, The Life of Pi, The Curious Incident of the Dog in the Nighttime, and A Long Way Gone. There were also books to add to classroom libraries for independent reading including Dairy Queen, Elsewhere, and a pile of books from the Rick Riordan’s Percy Jackson series. 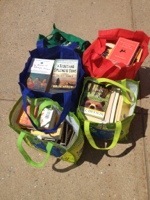 Five bags of books for classroom libraries for $229.00; a bargain! The book sale at Newtown is a model of efficiency. There is room to move between tables, the books are properly sorted by genre ( for the most part) and the volunteer help is cheerful and efficient. 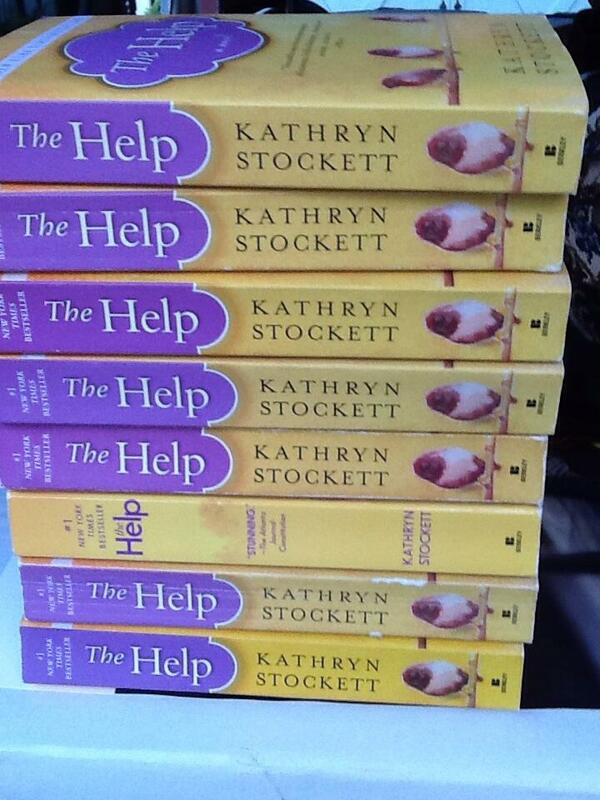 “You must be using these in a school?” suggested the woman checking us out as she counted out 20 copies of The Help. What is not terrible is that I spent $229 for over 80 books; some of them core texts and some for independent reading. The summer book sale season helps me put books in the hands of readers. The Newtown Friends of the Library book sale does that extremely well. Independent reading in our school grades 7-12 means students read books of their own choosing, make recommendations, and keep records of what they read. Recently, however, one of the English teachers in my department suffered a concussion and while the substitutes delivered the curriculum (John Steinbeck’s Of Mice and Men and Laurie Halse Anderson’s Speak), student independent reading had fallen out of regular practice. Our latest substitute (Natalie) is an enthusiastic graduate of our high school school who has a BS degree in Creative Writing. She has been serious in tackling her lack of experience in the classroom through her best characteristic…she asks questions. She asks a lot of questions. One of the latest questions she asked was about independent reading. When I expressed my concerns about having the practice reestablished, she seemed doubtful. I suggested that she have students use books they read independently to make connections with the most recent whole class novels. “You can ask them if they can make a generic ‘coming of age’ connection between Speak and a book of their choosing,” I suggested. I recognized her questions; I had those same questions myself several years ago. She had the same reaction I did when I first saw that video. My department is just noticing the benefits after a few years of implementing book choice. We are lucky to have an 80 minute block schedule with the luxury of offering 15-30 minutes a class for Silent Sustained Reading (SSR) independent choice books. We have large classroom libraries with high interest titles and a wonderful school library (with Overdrive e-books available) to offer students choice in what they read. When we tell students to pull out their SSR book, they are prepared and settle in to read. Some classes suggest that a book be in a particular genre. Our English IV-Memoir class reads memoirs or biographies. The English II class is based on World Literature, and students read at least one book during the year by an author who is not American. The critical requirement is that each student chooses a book. There is no leveled reading; students can choose a book below their reading ability or they can attempt a book above their lexile level. They learn what to choose to read because they have control of what they want to read. Penny Kittle, an English teacher and literacy coach at Kennett High School in North Conway, New Hampshire, wrote a guide to helping students read independently titled Book Love. In this text, Kittle offers strategies to help teachers increase the volume of what students read and to deepen student thinking about what they read. 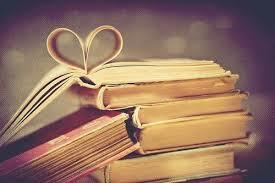 How are you doing with your book? What are the connections to myth/fantasy that can you make? STUDENT: Eragon: So far I am doing well with this book. My book connects with mythology because it is about Eragon who finds a stone which ends up being a dragon egg, and he bonds with the dragon over time. He and Saphira (the dragon) learn to communicate with one another and have a good connection. Saphira and Eragon create a good relationship with one another. STUDENT: Ranger’s Apprentice-The Royal Ranger: Good. I have 10 pages left until its over. Its the final book in the series. There is a giant myth that rangers have special and mystical powers. But that is just false. They are just super stealthy which gives them the appearance of just appearing out of no where. My response: Now what will you read? Another series? STUDENT: The Alchemist: The Alchemist is a good book. It has to do more with fantasy than mythology, but there is a myth about a treasure in the pyramids. My response: And the “stones” have a story behind them as well. Did you know this book is on the NY Times Bestseller list for 291 weeks? While there are multiple software platforms for sharing book choices, I also find that the features on Shelfari are helpful in having students “shop” for books (without purchasing) and/or write responses using evidence. There are tabs for a book’s Description, a Ridiculously Simplified Synopsis, Characters/People, Quotes, and First sentence. 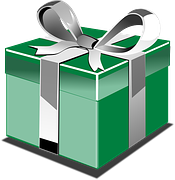 There are recommendations and reviews by other readers for each title as well. The student responses can agree or refute other reviews; they can add information to a book’s page as well. The Freshmen final project after reading The Odyssey is a narrative that students complete called “The Wamogossey: A Day in the Life of a Freshman at Wamogo High School.” Writing narratives are once again favored in Common Core State Standards, and this post explained how students made their own attempt at an epic adventure. Yes, “If you want to watch the cow give birth, turn on U-stream now!” was an announcement over the PA system. Normally, I am irritated by interruptions to class time, but this announcement cued students about opportunity watch the birth of a calf in the Agricultural Science wing of our high school. The combination of technology in broadcasting and recording the birth of the newest member of the agricultural program with old-fashioned “hands on” physical labor illustrates 21st Century authentic learning. The performance was a wonderful experience, especially since it was my first time to see Shakespeare. I wouldn’t mind going to another because it was so enjoyable that I didn’t even realize the 4 hours passing by. I like the way that a play has a certain kind of vibe. It’s like a live concert, where there’s a certain kind of energy. It was like seeing a live performance of a film. I would especially like to see another Shakespeare because it is the way that he intended his works to be portrayed. After seeing Hamlet so well done, it would definitely be worth going to see another one whether it be Shakespeare or a different kind of performance. Understanding Greek and Latin roots is critical to decoding vocabulary, so when the freshman had a long list of roots to memorize, we tried a kinesthetic approach. 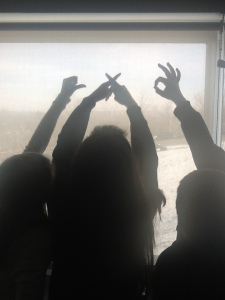 The students used their fingers to spell out Greek roots: ant (against), tech (skill), exo (outside). They twisted their bodies into letters and spread out against the wall spelling out xen (foreign), phob (fear). They also scored very well on the quizzes as a result! 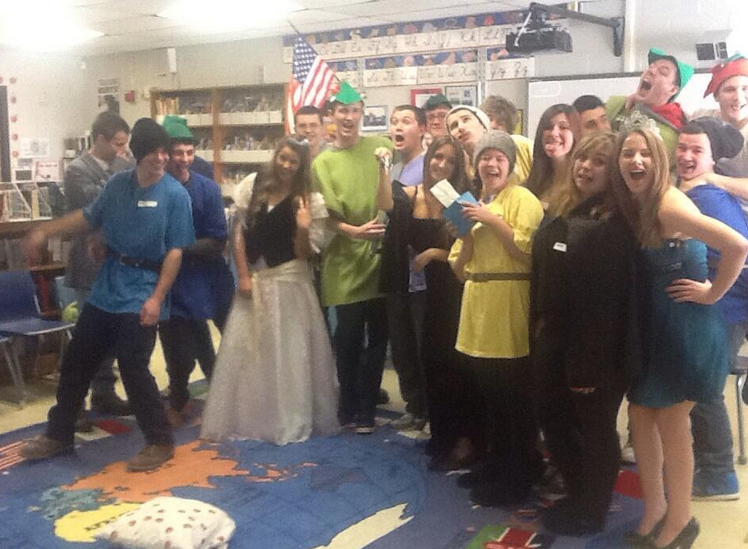 At the end of the 2012-2013 school year, teachers rose to a “friendship and respect” challenge to make a video. With a little help from a green screen, 27 members of the faculty representing a wide variety of disciplines jumped into the nearby closet wearing the big “W” (for Wamogo). Students in the video production class watched and filmed in amazement as, bearing some artifact from a particular subject area, each teacher donned a flowing red cape. 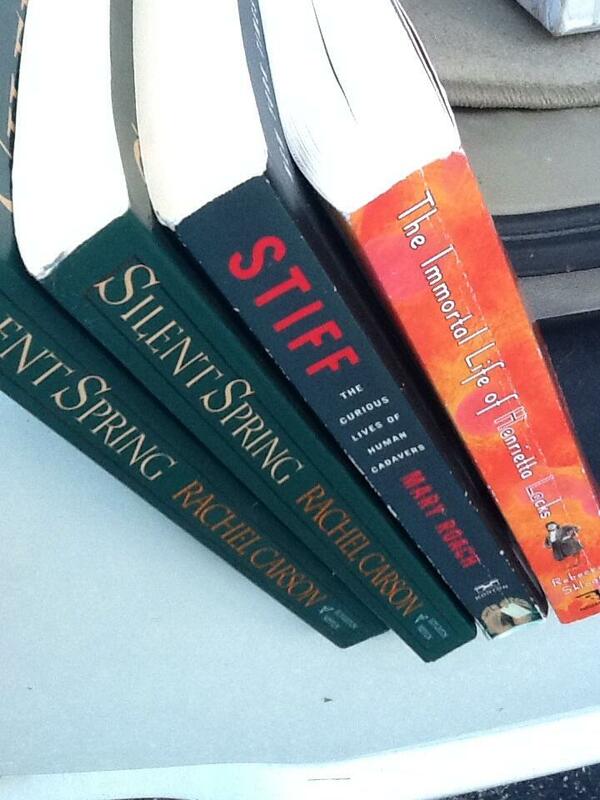 July 2013 Library Book Sales: Three Bags Full! 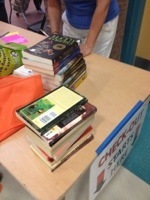 The original purpose of this blog was to show how I filled classroom libraries with gently used books. The Friends of the C.H. Booth Library Book Sale in Newtown, Connecticut, is one of the premier books sales in the state: well-organized tables filled with excellent quality used books, lots of attentive check-out staff, and great prices. This year, I added three large bags of books to our classroom libraries for $152.00, a discount of 90% off retail! August 2013 Picture Books Are not for Kindergarten Any More! At used book sales, I am always looking for picture books I can use in high school classrooms. 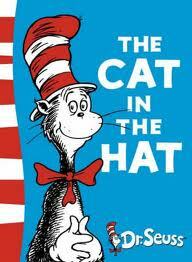 For example, I use The Cat in the Hat to explain Freud’s theory of the Id, Ego and Superego . Thing #1 and Thing #2 represent Id, and that righteous fish? The Superego. Yes, Dr. Seuss is great for psychological literary criticism, but he is not the only picture book in my repertoire of children’s literature used in high school. This post features a few of my favorite picture books to use and why. Saki’s short stories open our World Literature course in which our students will be reading complex texts required by the English Language Arts Common Core State Standards (CCSS). After a “close reading” the conversations in the room showed the text’s complexity. Saki’s The Interlopers has all the elements suggested by the CCSS: figurative language, the ironic wish, and multiple meaning in the revenge sought by man versus the revenge exacted by Nature. Our close reading should have been “textbook”. 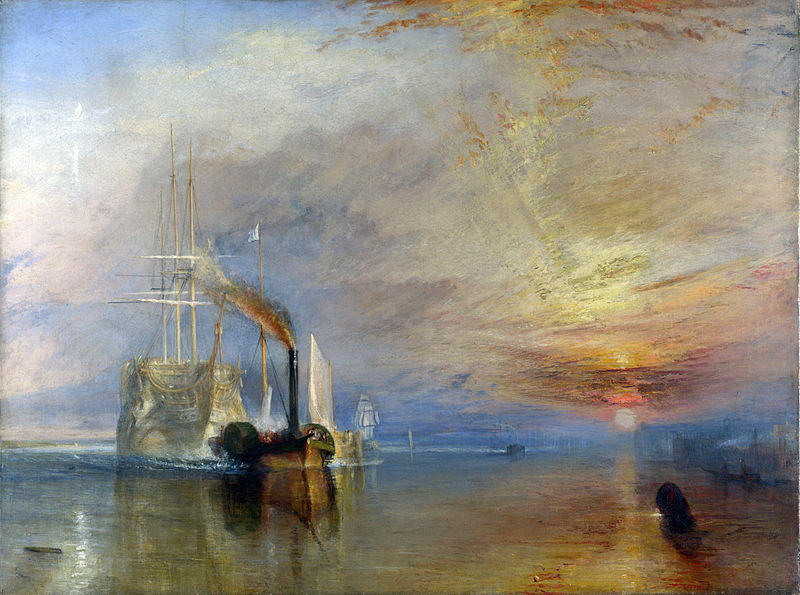 The evidence proved the characters’ demise…or did it? The ensuing discussion forced the class to consider other positions. Five members of the English Department attended the conference and selected from over 700 sessions at the National Council of Teachers of English and the Conference on English Leadership. District support for such great professional development is truly appreciated. We are also grateful that four of our proposals were chosen to share as presentations for other educators. The explanations of our presentations with links to these presentations are included in this post. 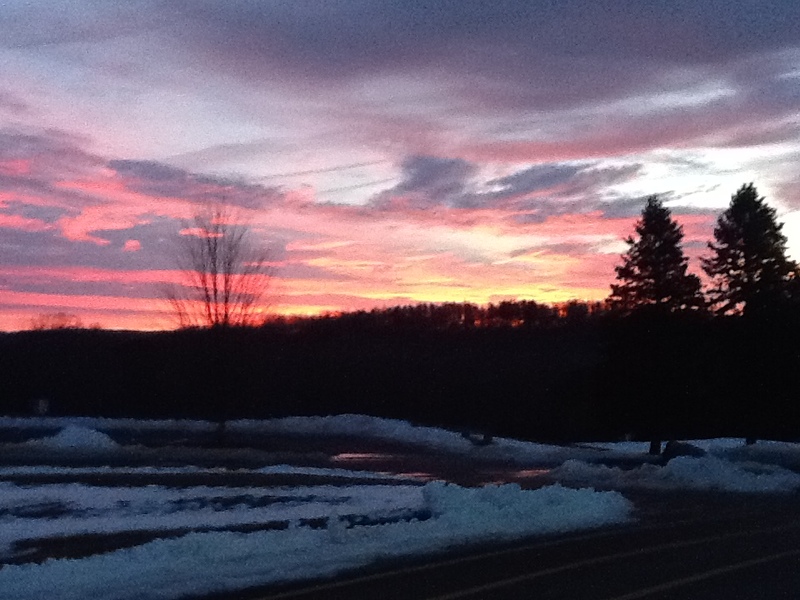 An ice storm two weeks before performance caused a car pile-up, and the drama club teacher was left with a concussion. She could not be in school; the students were on their own, and I was left to supervise their performances of Snow White and the Seven Dwarves at three local elementary schools. Their “dress rehearsal” was a disaster, but, as the adage says, “The show must go on!” and once they arrived at the elementary schools, the students were anxious to do well. They naturally changed their staging moving from gym floor to library floor, the Evil Queen tossed her hair with anger, and the Prince strode onto the stage with more confidence. The dwarves were a source of comic relief, intentionally or not. I watched the holiday miracle of 2013 repeated three times that day. 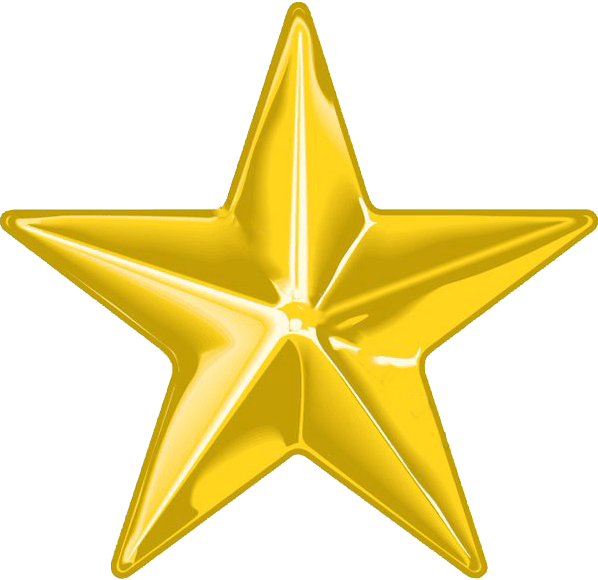 The students in drama class at each school were applauded, with congratulatory e-mails from the principals that offered praise. I am grateful to be an educator and to have the privilege to work with students that I learn from everyday. In this retrospective, I can state unequivocally that 2013 was a memorable year… as you can see from many of the reasons listed above. Welcome to 2014! May this coming year be even more productive!